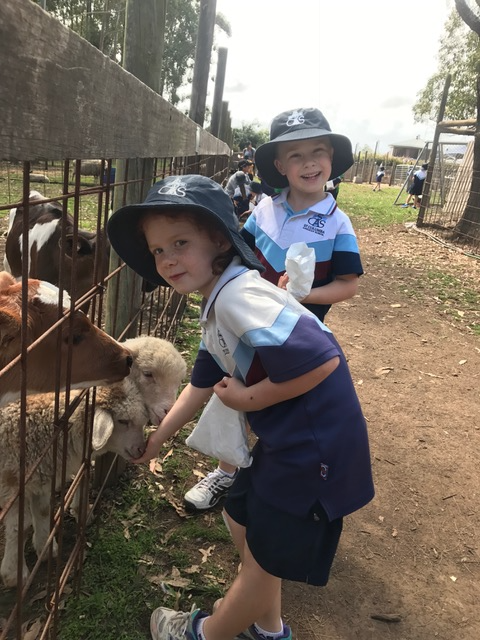 Kindergarten recently spent the day at Rose’s Vineyard and Petting Farm for an excursion full of exciting learning. Students met an array of farm animals both big and small. They got to feed bottles of milk to the calves and lambs as well as pellet feed to the bigger cows, sheep and goats. 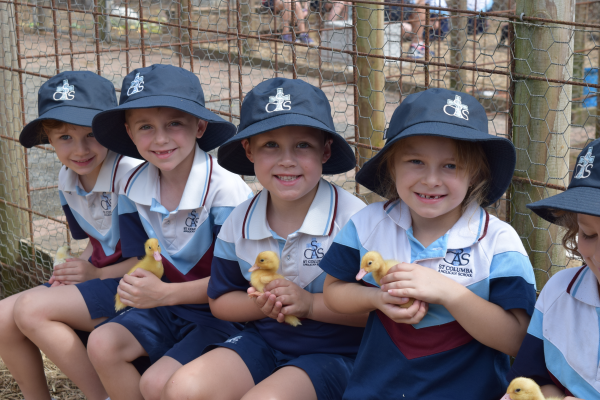 Students adored chasing chickens, cuddling puppies and bunnies and exploring all the other smaller farm animals. The highlight for many was meeting Rosie’s newborn piglets who were less than 24 hours old when Kindergarten visited. 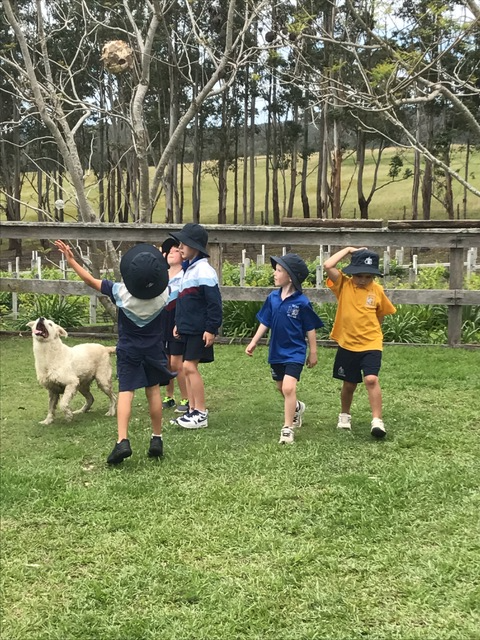 The students loved meeting the horses, accompanying the Great Danes around the farm and playing fetch with the Farm’s loyal and friendly dog. Students learnt about the gestation of various animals and how to take care of all the farm animals to make sure they have a happy and healthy life. Kindergarten students really enjoyed running around on the grass surrounded by beautiful vineyards and were lucky enough to celebrate Teddy from KT’s 6th birthday with cupcakes. A wonderful day was had by all.